Laser printer that uses electrophotography. The first automatic copier, the forefather of today's photocopiers, was powered by electrophotography. Electrophotography is a type of dry photocopying method used to create copies of a picture using an electrostatic charge, similar to static electricity. Chester Carlson invented the technique in 1938 and called it electrophotography. Later the term changed to xerography, formed from the Greek words "xeros" and "-graphia," which translate to "dry writing." At the time of Carlson's invention, all photocopying processes needed liquid chemicals to work. Though the original invention took a long time and involved manual labor to operate, it involved no liquid substances and was a great advance in technology. To create the image without the liquid chemicals, a machine using electrophotography creates static electricity to charge the image and transfer the picture onto a blank sheet of paper. 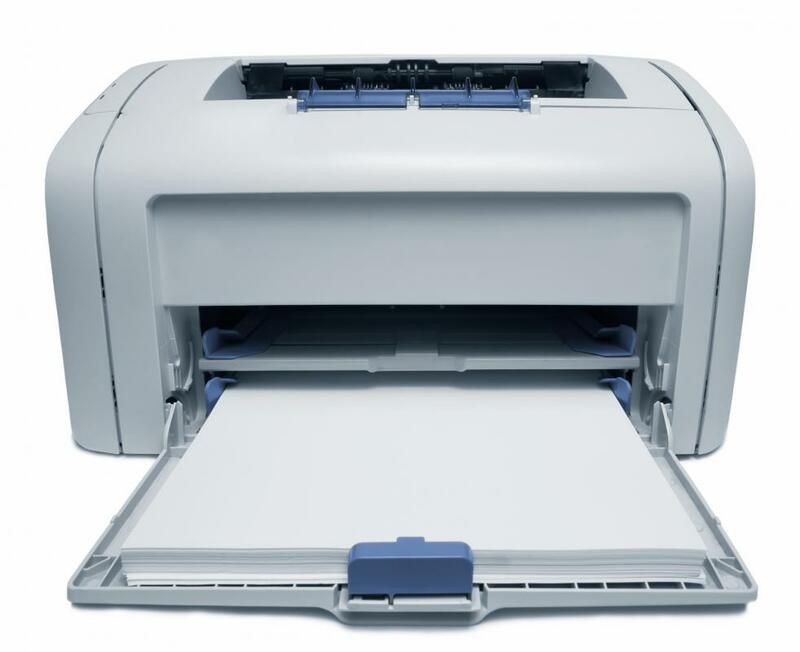 Electrophotography is commonly used in photocopying machines and certain printers, such as LED and laser printers. The copying procedure happens in less than a minute but goes through a five step process each time. First the drum, a type of metal cylinder located inside the machine, becomes charged with electricity. Different charges are given to the drum depending on the type of copy being made and the type of image the copy is taken from. After the drum charges, a bright light shines across the image and copies areas of light and dark onto the charged drum. Charged toner is attracted to the particles on the drum and covers the drum, creating a copy of the original image. After these first three stages, the process moves on to the transfer phase. A piece of paper passes across the drum to capture the image. Both electrostatic energy and a certain amount of pressure cause the toner to transfer onto the paper and create a detailed copy of the original picture. In the final stage, the particles lose their charge, and heat, pressure, or both are used to ensure the image adheres to the paper. The user then receives the copied image. The original machines that used electrophotography involved several steps, each which required the user to perform a task to move the process along. It took nearly 20 years for a breakthrough to occur that gave the world a fully automated copier. The first automatic copier put onto the market for sale was created by Haloid/Xerox, the company that later went on to become the popular brand Xerox and gained a reputation for its sales of printers and copiers along with other common office equipment. @everetra - I didn’t realize that the term for the process also went by the word “xerography.” I guess now I know where Xerox got its name. Xerox became a household name that became forever associated with the process of photocopying. It’s funny how that the company’s name has become a verb in the process. We say things like “Xerox this for me,” when what we really mean is “Photocopy this for me.” You can’t beat that kind of brand recognition in my opinion. @Charred - Well, the article says a “breakthrough” occurred that made copier machines viable to the open market. It doesn’t say what the breakthrough was, but my two cents is that it involved other technologies. 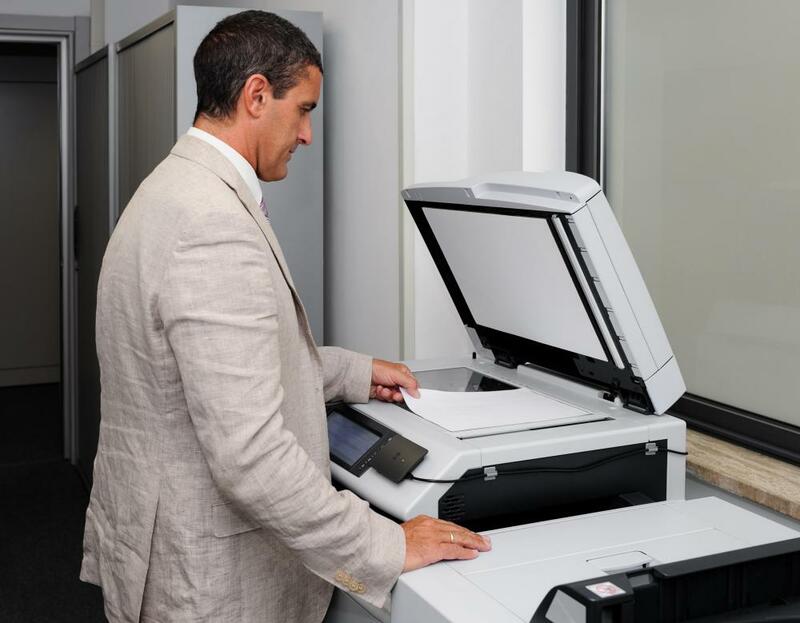 You need complimentary technologies to work together to make a copier. Maybe you need the invention of the transistor or the invention of the photodiode, or whatever other electronic components are necessary. That’s why there is usually a large gap between the discovery of a theoretical concept and its first commercial application. Just because you discover electricity doesn’t mean the next week you’re going to turn out a light bulb. You have to jump through a few more hoops before you get to that place. @nony - Yeah, laser printers are pretty much the only way to go if you want professional quality output in my opinion. What I am surprised about however is to discover that the technology behind office copiers is decades old. I also didn’t realize a process existed to make copies using chemicals. If they had these technologies so many years ago, why didn’t it hit the market earlier than it did? Were they spending all that time in research and development? I bought my first laser printer many years ago, back when the prices were still quite high and I only had a computer with a 386 processor. The computer was ancient but the printer was incredible. I had been doing some desktop publishing for a local writer's club and I used the laser printer to print out the monthly newsletter. I was amazed at the clarity of the fonts and the richness of the detail in the blacks. Everything was as perfect as if it had been professionally typeset. It was much, much better than either the bubble jet printer I used to have and of course the dot matrix printer, both of which suffered from inferior print resolution.